Ruby Rebello has known since she was a girl that her grandmother was “the time traveller who went mad.” It’s not something she’s ever brought up with Granny Bee until the day Ruby finds an origami rabbit left by the front door of her grandmother’s house. It’s a message from Grace, one of the pioneers. Hidden in the folds is a newspaper clipping from five months into the future reporting on a coroner’s inquest into the death of an unidentified woman in her 80s. Skip five months and Odette Sophola, an archaeology student who volunteers for the Toy Museum, is the one unfortunate enough to find the bullet-riddled corpse of an old woman in the boiler room of the museum. 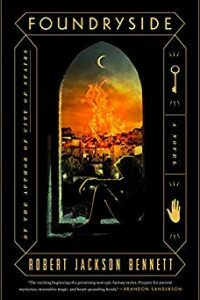 The question of whose body it is, who committed the murder, and how this all ties into the Conclave and its ongoing, ever-expanding research into time-travel drives the narrative of the novel. What makes your classic time travel text so excit­ing, such as Robert Heinlein’s “By His Bootstraps” and “All You Zombies” or Robert Silverberg’s Up the Line or the more contemporary The Time Trav­eler’s Wife by Audrey Niffenegger, is the intellectual thrill of working through paradoxes and causal loops and the mind-boggling discovery that a person can give birth to themselves. 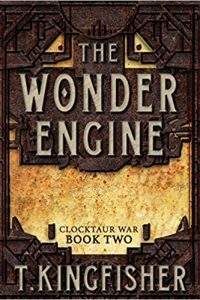 Mascarenhas is fully aware of the rich history of the genre, and to this end, she provides the reader with a puzzle box plot, a whodun­nit told out of chronological order. 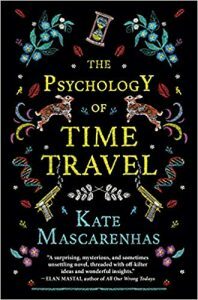 As entertaining as the story is, though, Mascarenhas’s true intent, as the title suggests, is to question the viability of time travel, not from a technological or temporal perspec­tive, but regarding the time traveller’s mental health. For Margaret, Barbara’s meltdown proved that only a specific type of person would have the fortitude to cope with the knowledge of when they’re going to die, that the future is immutable, that free will is essentially a charade. She, therefore, institutes a bar­rage of intense psychometric tests and hazing rituals to weed out those unfit to peek into the future. How­ever, as Barbara points out to Margaret, all this does is create an organisation where the staff’s empathy is blunted on the first day of their employment. 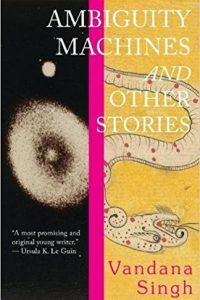 This is borne out by Fay who, in a brilliant set-piece where she is interviewed by Grace over a number of years, gradually transforms from an excited employee of the Conclave into a person made hollow by her travels through time. The Psychology of Time Travel is also a story led almost entirely by women. 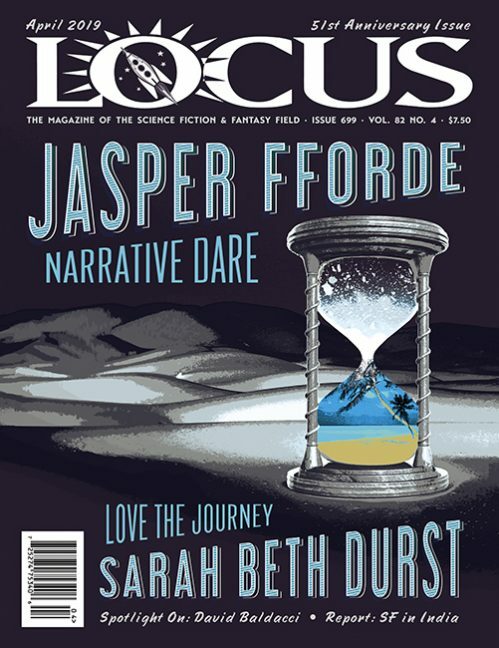 This will be viewed by some as a political move on Mascarenhas’s part to address a perceived gender imbalance in science fiction. Even if that’s true, it doesn’t change the fact that we are introduced to a cast of memorable characters. The turbulent, out-of-order relationship between Grace and Ruby (reminiscent of The Time Traveler’s Wife, but with less creepy grooming) is a particular highlight. My favourite character is Odette, whose story arc deals with her upbringing in Seychelles, the trauma of witnessing the grisly after-effects of murder, and, most importantly, her deep sense of justice, her unwillingness to let a crime go unsolved. She is the moral voice of the novel. 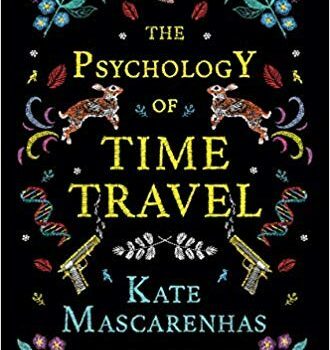 The Psychology of Time Travel is a surprising novel not because of its temporal shenanigans – as entertaining as they are – but because it goes beyond those familiar hijinks and explores the human cost of a non-linear existence. I will always love time travel stories, I will always be easily pleased by a random Doctor Who references, but if I’m ever given the op­portunity to travel in time, I’ll be giving it a hard pass.